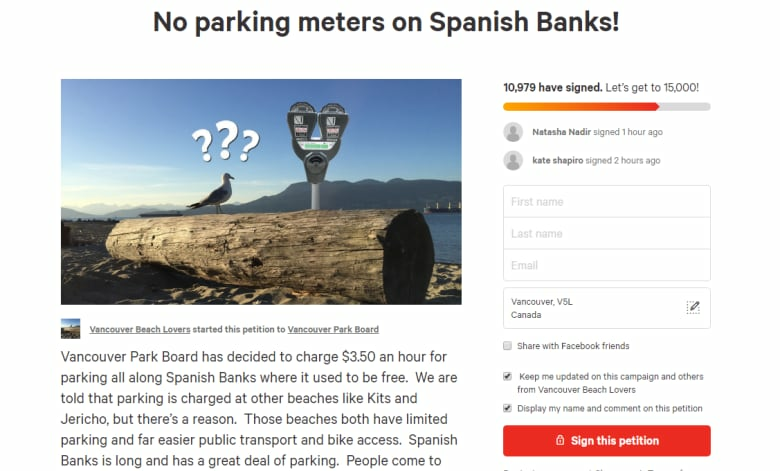 The Vancouver Park Board has modified its decision to add pay parking to Spanish Banks Beach after "extensive public feedback," including a petition that garnered more than 10,000 signatures. 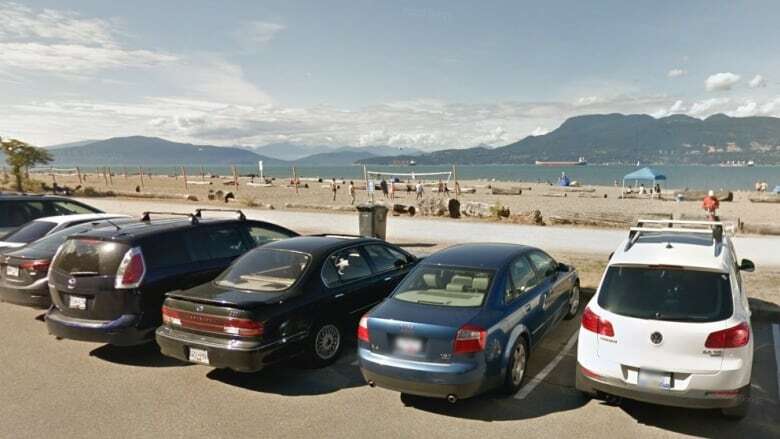 The Vancouver Park Board has modified its decision to add pay parking to Spanish Banks Beach after receiving "extensive public feedback," including a petition that garnered more than 10,000 signatures. The original plan would have cost beachgoers $3.50 an hour or $13 per day, for a six-month period starting April 1. While those fees remain intact, the park board is cutting the period by 10 weeks and adding other concessions to locals fond of the beach. Seasonal parking now begins on the May long weekend and ends on Labour Day, the board said in a statement released Monday. Early morning joggers and dog walkers can also take advantage of free parking during the summer months from 6 a.m. to 9 a.m. Parking during the off season and at the smaller lots at nearby Locarno Beach is still free. Critics of the fees expressed disappointment about what they say amounts to a "user fee" for a public park. "It's heartening to know that our elected officials listen and respond," said petition organizer David Fine in an emailed release to media. "While I fully appreciate the gesture, I need to ask that you revisit this matter further and reconsider the installation of parking meters in any form." Park board deputy general manager Shauna Wilton said the board is "always sensitive" to feedback and confirmed it altered payment rules in response to public complaints. The board approved the original changes at a meeting last November, where it estimated $235,000 in revenue from pay parking at Spanish Banks alone. Wilton says the decision to shorten the pay period will cost the board $75,000 in projected income. The cash collected from parking meters is a "critical" source of income used to maintain parks across the city, the board noted in its statement, but Wilton said the lost revenue from the changes can be smoothed over. "We'll have to make it up somewhere, in theory," she said, but pointed out that since the board has an ample $60-million operating budget to cushion the loss, it won't be making any cuts to recoup the funds. Earlier this month, park board chair Stuart Mackinnon defended the original plan to implement fees for a six-month period. "We've kept it free for as long as we possibly can," said Mackinnon in response to the petition, which at the time had 1,000 signatures. "Nobody likes new charges, but it's a way that we can keep our parks and gardens and especially our beaches as beautiful as they are." Mackinnon said fees and charges fund more than 40 per cent of the board's budget. He added that pay parking is in effect at most parks and beaches, and Spanish Banks is currently an exception. "It's a matter of equity between sites," he said. "It matches the other beaches along the way." But the more than 10,000 people who have now signed the petition still disagree with the move. The petition points out that other beaches like Kitsilano and Jericho are more easily accessible by public transit and have limited parking, which it says justifies fees. 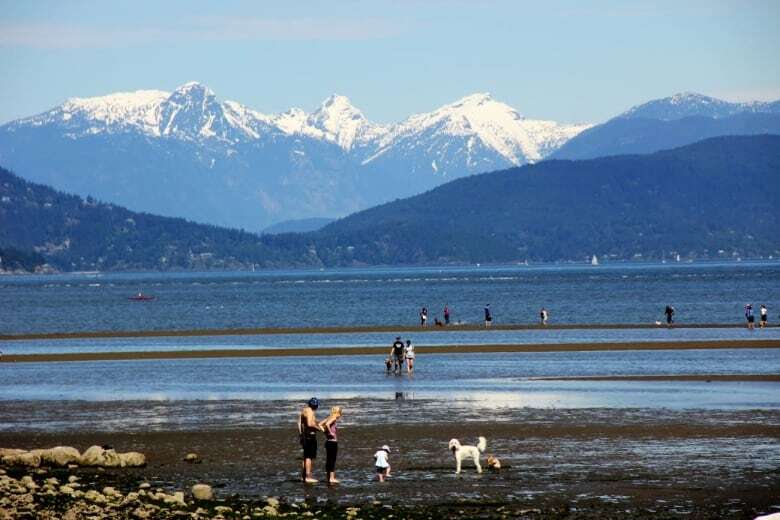 "People come to Spanish Banks by car because it is by far the easiest way to get there, especially for large families, the elderly, disabled or people with BBQ's or other beach gear," it reads. For frequent users who can't reach the beach by bike or transit, Mackinnon said the park board also offers a parking pass that costs $87 a year. He said spots for car share programs like Car2Go or Evo are free. Wilton also flagged the season's pass as an option for drivers. "It's cheaper than the bus," she said. Expressing concern the transit routes will be enough, Fine asked the board to look elsewhere for the funding rather than impose fees on a city amenity. "We pay for so many of them," Fine said. "This one has been free forever and 11,000 and counting want to keep it that way." A previous version of this story, based on information originally received from the Vancouver Park Board, said that seasonal pay parking had been cut by six weeks. It has in fact been cut by 10 weeks.